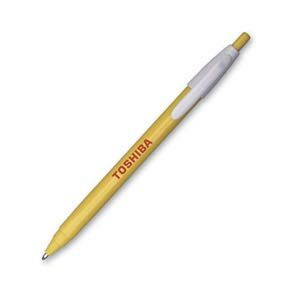 Retractable ballpoint pen; printed with one color logo, made from biodegradable PLA, size - 142mm long. 81% biodegradable. Available accent colours: Blue, Green, Orange, Yellow, Purple and Pink.